How can The Food Fairy grant your wish today? 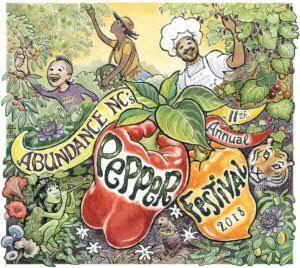 The Food Fairy is going to have a booth at the Pepper Fest this year! Come out and say hello! Tell The Food Fairy What You Think! Had a great experience with us? Want to let the world know? Look no further! Click below to submit a review and Terri The Food Fairy will display it right here on this site! You may like to visit the Food Fairy on Yelp! and leave your review there too! Listen to The Food Fairy on the "Say Yes to the Chef" podcast! I awoke this morning with gratitude. Gratitude for this business that supports me, allows me to offer financial and time support to others as well as provide a job and avenue for income and creativity for talented women with children and grandchildren who are loving and nurturing by their very nature. Spend more time with the people you love …COOK ONCE ~ EAT FOR WEEKS with The Food Fairy® in her cook a-long dvd. Then take the next week, or three, off! View the trailer and order today! The Food Fairy Frequently Flies Here!